two doves scratched to find seed. Today, I wrote a poem . . . Nothing great, just something fun–this poem I wrote today. It takes a while for new creations to “jell” and so I’m not quite ready to share this new one. I also photographed a bird today. A dove. 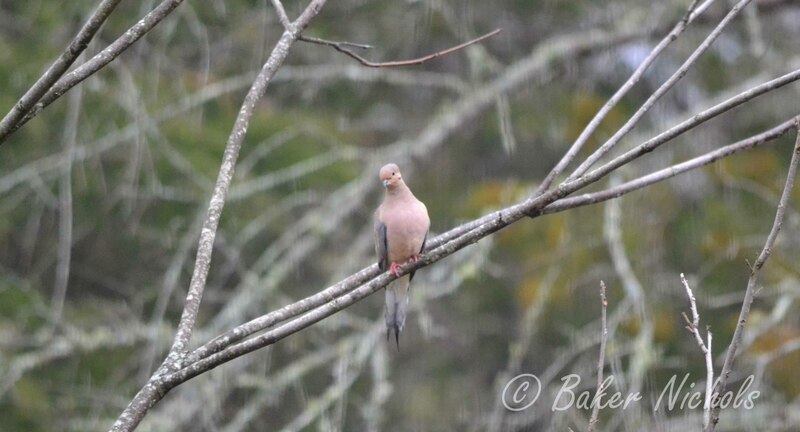 A pair of doves fly into my yard each evening and feed before the redbirds get here. The doves are quiet, peaceful and polite. They are watchful, too. It’s a challenge to take a good photo of them. But still I try, sometimes waiting a long time before they strike a pose that causes me to shoot–the camera.